This image is a view from NASA's Earth-orbiting Hubble Space Telescope taken on March 22, 2004. 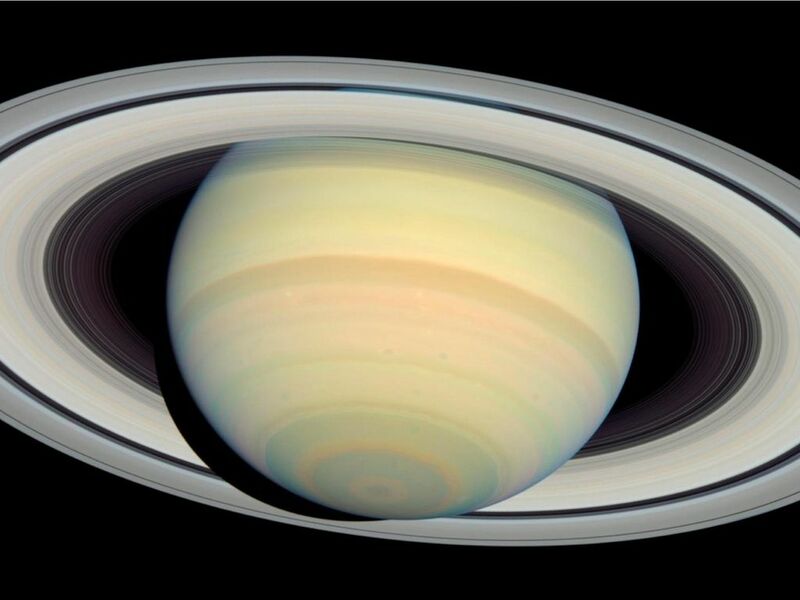 Camera exposures in four filters (blue, blue-green, green and red) were combined to form the Hubble image and render colors similar to what the eye would see through a telescope focused on Saturn. The subtle pastel colors of ammonia-methane clouds trace a variety of atmospheric dynamics. 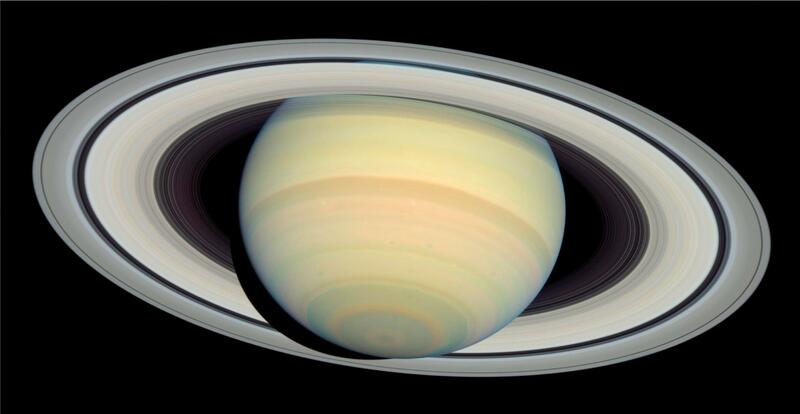 Saturn displays its familiar banded structure, with haze and clouds at various altitudes. 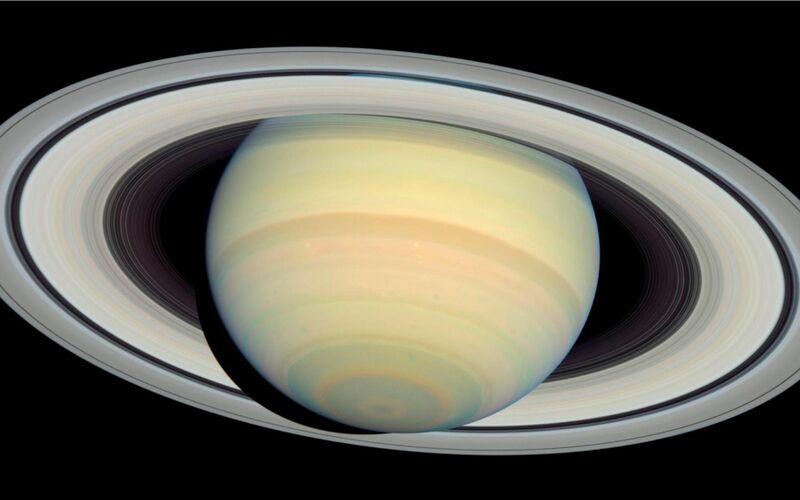 Like Jupiter, all bands are parallel to Saturn's equator. 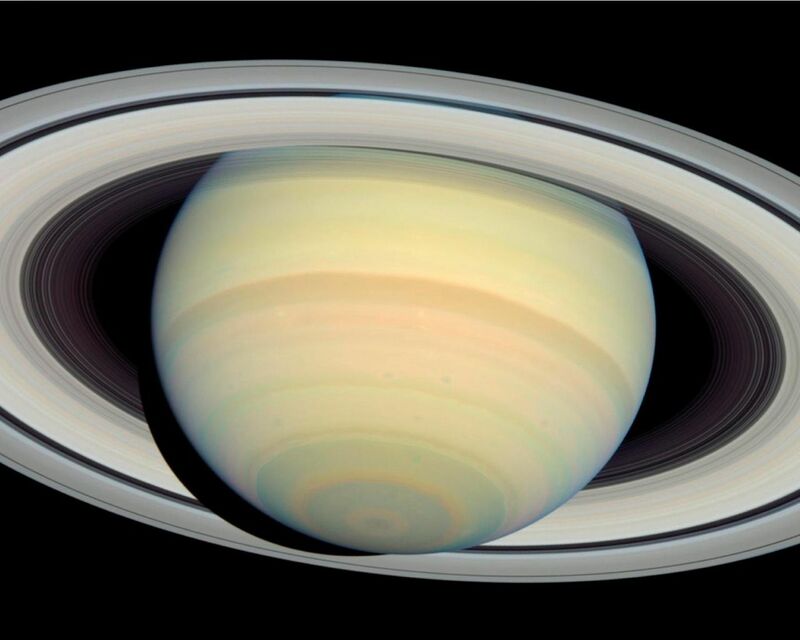 The magnificent rings, at nearly their maximum tilt toward Earth, show subtle hues which indicate the trace chemical differences in their icy composition. For related images, see also PIA05981 and PIA05983.